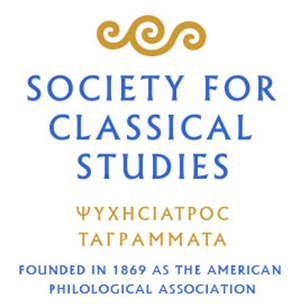 We are happy to announce the publication of a new edition of Careers for Classicists in Today’s World by Kenneth F. Kitchell, Jr. with the assistance of the APA Education Committee. Careers is copyright 2012 by the American Philological Association (APA) and is licensed under a Creative Commons Attribution-NonCommercial 3.0 Unported License. You can download a pdf version of this pamphlet here. You are free to copy, distribute, transmit, and adapt the work provided that you attribute the work to the American Philological Association but not in a way that suggests that the APA endorses you or your use of the work and provided that you do not use this work for commercial purposes. For any reuse or distribution, you must make clear to others the license terms of this work. The best way to do this is with a link to this web page. We are very grateful to Prof. Kitchell for his hard work in updating this important pamphlet. The APA will soon produce a limited number of printed copies of this document for sale at a price of $3 per copy. Use this form to order copies. The pamphlet contains the URLs of many online resources. Please report any problems with these links to Adam Blistein, APA’s Executive Director.